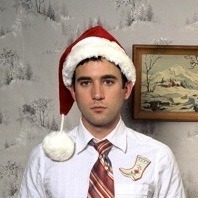 Thanks to Between Hipsters and God… two Christmas rarities of Sufjan Stevens (from 2006) have been unearthed. They are off the still unreleased Songs for Christmas Volume 6 (Gloria!) featuring The National‘s Aaron & Bryce Dessner as well as The Arcade Fire‘s Richard Reed Parry. They were out via the National & Arcade Fire DJ set on BBC6. Silverchair/Daniel Johns short film + free music from Owen Pallett The future of music?